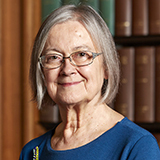 President of the UK Supreme Court Lady Hale has said in a rare political comment that austerity has made life more difficult for the poor. In a speech delivered last month at the Isle of Man Law Society, but only published yesterday, the judge said: “While some families are fighting for legal recognition of their relationships, we should not forget that other families are fighting for enough to live on and to make ends meet. Lady Hale also appeared in the magazine Vogue yesterday, to mark 100 years since barriers preventing women from practising law were removed. She remarked she was “absolutely staggered” that she was seen as a role model. “This is not what I set out in life to be but it’s where I happen to be,” she said.